Graduation Day brings with it a plethora of emotions for students, teachers and families alike. It is a time of celebration, reminiscence and reflections, as the future unfurls with a myriad of promises. 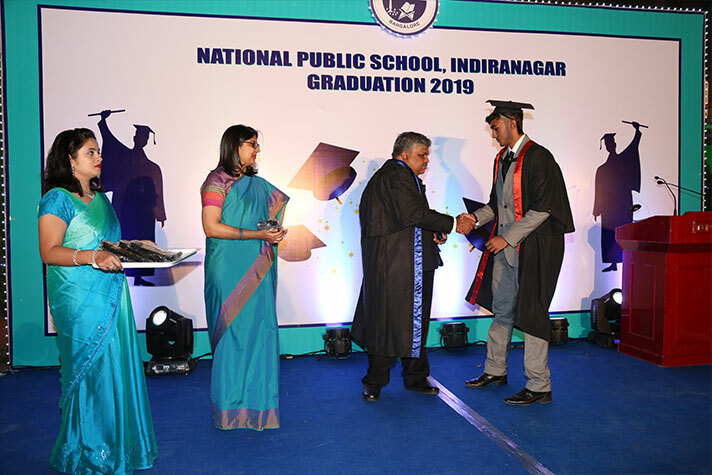 National Public School, Indiranagar, commemorated its Graduation Ceremony for the batch of 2019 on 18 January. The event was initiated by the personages lighting the lamp followed by the invocation song seeking the blessing of the almighty. Thereafter, a medley of Indian and Western songs, performed by our students, enthralled the audience. 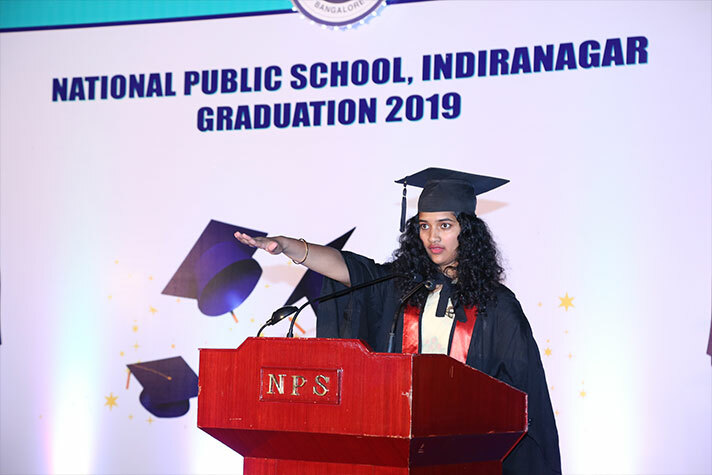 In her welcome address, Dr Bindu Hari (Director TISB, NAFL & NPS Group of Schools) urged the students to make mindful choices as the choice of the present will affect the future. Quoting Dumbledore and Rafiki, two mentors par compare from the world of fiction, she reminded students to always follow their moral compass and choose what is right, even though difficult. 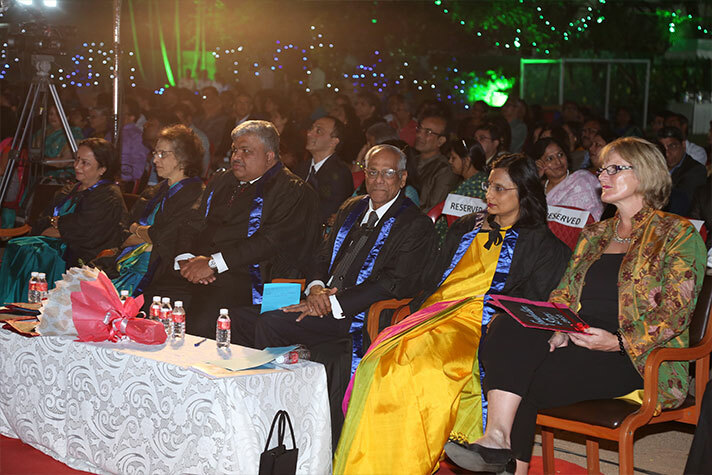 Thereafter, the Chief Guest of the evening, a revered and renowned personality, Dr Arun Alexander (Professor & Head of Department of ENT, JIPMER) addressed and encouraged the gathering to acknowledge life and its many colours, to cherish time spent with family and friends, to treat life as an adventure and live it to the fullest. 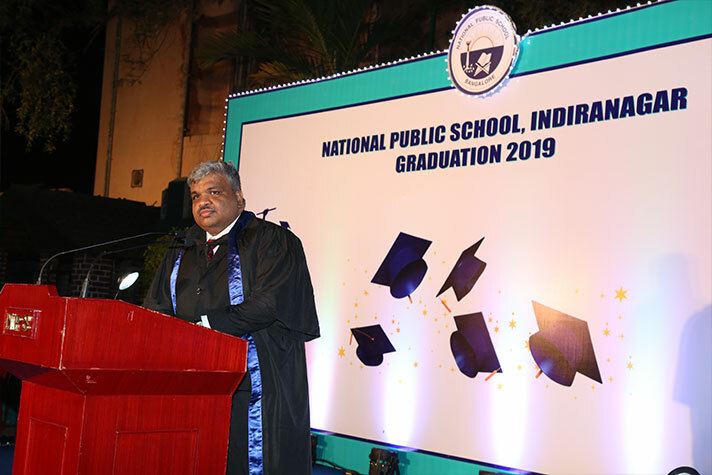 Mr. Sudheesh Venkatesh, father of our School Prefect Sampada Venkatesh, concluded his inspiring speech to the congregation with a unique and special gesture. 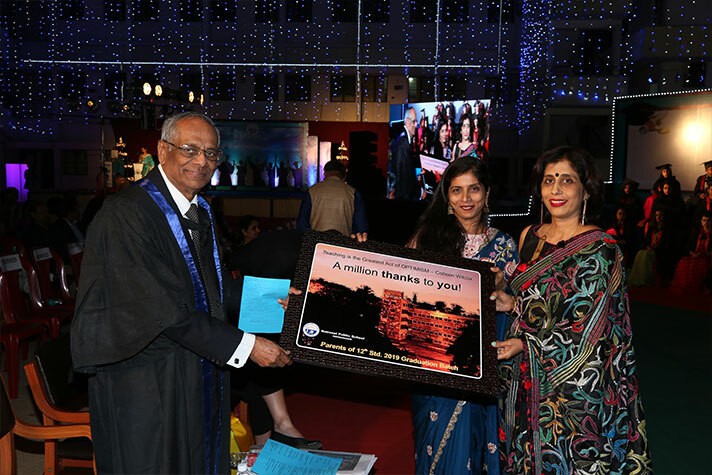 The parents of the Batch of 2019 came together to hand over a beautiful plaque to Dr. Gopalkrishna, as a sign of their indebtedness and gratitude to the school. 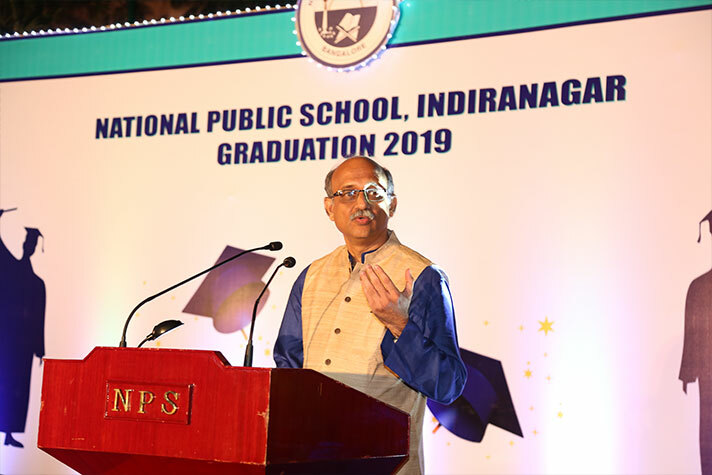 Dr K P Gopalkrishna (Chairman & Founder Principal TISB, NAFL & NPS Group of Schools) also invigorated and motivated the graduating batch to create their own destiny and be ethically even-handed and honest. 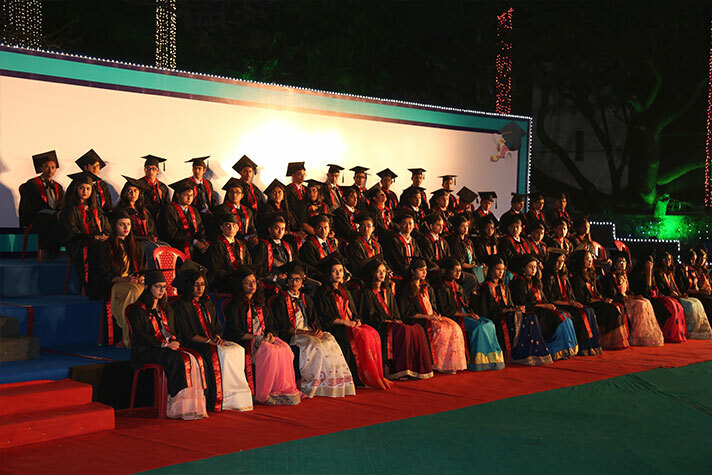 The inspiring speeches were interspersed with handing over of mementoes to the entire batch. As the proud recipients of the batch of 2019 walked up the stage, the comperes revealed their unique dreams and aspirations of making our world a better place. 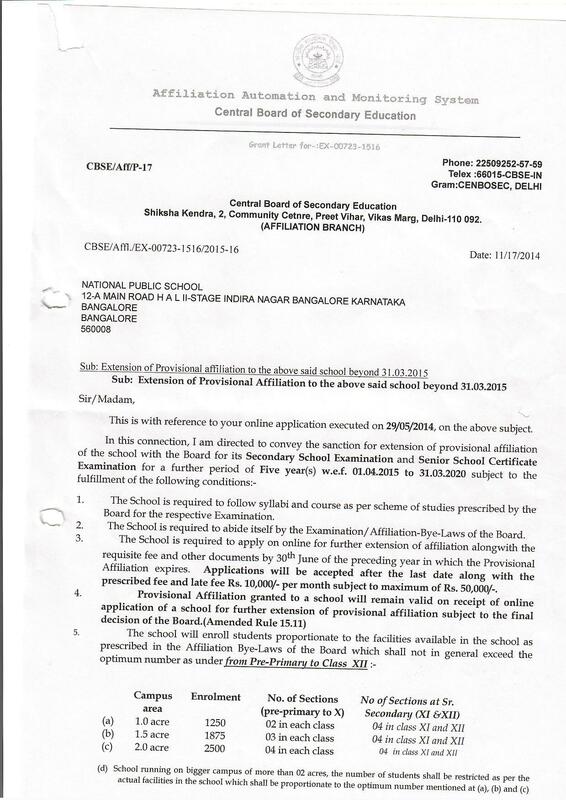 Finally, Ms Shantha Chandran, Principal, NPS Indiranagar, in her convocation discourse, encouraged and wished success and luck to her protégés. 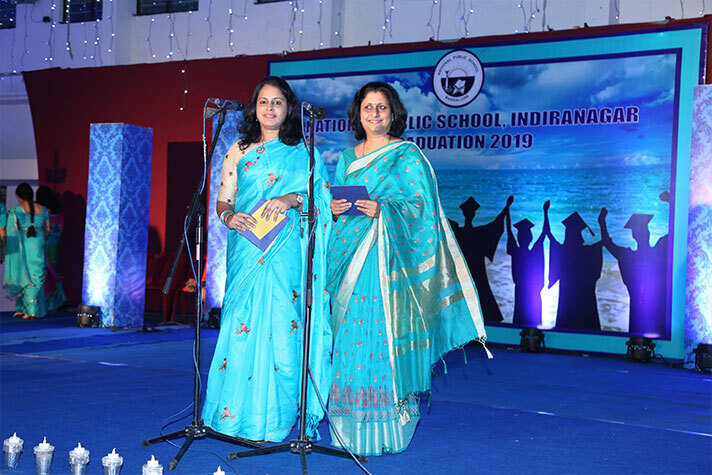 This momentous evening drew to a close with the customary student pledge and candle-lighting ceremony, followed by the stimulating school song and the national anthem.